Boutin commented on the abundance of sharks, noting: "The French Polynesian waters play host to a variety of different species of sharks. The most common are blacktip reef sharks which can be easily identified by the black tips on each fin. Although curious, all the sharks inside the lagoons are predominately non-aggressive unless provoked. If you anchor your superyacht in Moorea, it is possible to swim with stingrays and sharks in their natural environment without even using a guide." Moorea, French Polynesia is among "8 of the best places to swim with sharks", recently reported by Boat International magazine. On Fiji, Dave Jamieson, heading up Asia Pacific Superyachts Fiji shared the news with superyacht owners and captains of a private island attraction opening soon: "Fiji is poised to welcome its most luxurious, private island resort, ‘Kokomo’. Being heralded as one of the worlds’ hidden gems with four pristine white sandy beaches crowned by a pocket of tropical rainforest on the southern summit, the island is encircled by the Great Astrolabe Reef, home to an abundance of marine life unparalleled in Fiji and known as one of the best dive sites in the world." Kokomo Island Fiji Resort is Fiji's newest and most exclusive private island resort and officially opens in March 2017. 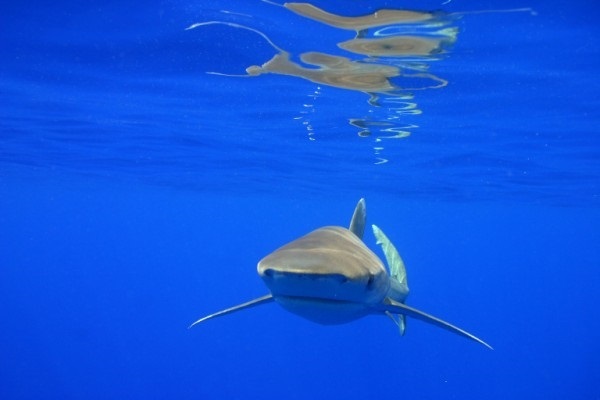 A beautiful attraction for those seeking more locales to swim with sharks is Fiji’s Beqa Lagoon, named by Boat International magazine as one of eight of the best places to ‘swim with sharks’. Of particular interest, if your passion is Bull Sharks, as reported by the magazine, is Beqa Island. "Drop anchor off Beqa Island and tender to Pacific Harbour to arrange for a guided or unguided dive to the lagoon with Beqa Adventure Divers to swim with Bull Sharks. On the edge of the Beqa Lagoon is a section of protected reef known as the Shark Reef Marine Reserve, now home to a bull shark tagging programme that monitors their behaviour and ecology. The bull sharks share their home with seven other species of shark, including tiger sharks, silvertips and grey reefs, as well as giant groupers and eagle rays." © 2019 Asia Pacific Superyachts | Webwork done by David's Neighbour.